PLEASE READ THESE TERMS CAREFULLY BEFORE USING THIS WEB SITE ("Site"). By using this Site you signify your agreement to the Terms. If you do not agree with the Terms please do not use this Site. The McCalmon Group ("McCalmon Group") is the owner and licensor of the Site and its contents. The Sponsor of the Site (the organization whose name or logo is used to promote the Site or who promoted the Site to you) is a contractual licensee of McCalmon Group. McCalmon Group may, at its discretion, invite third parties to provide content and/or promote services via the Site or utilize third parties to maintain and/or portions of the Site. McCalmon Group will make changes and improvements to this Site, including content and feature changes, at any time, without notice or liability. Offer legal advice, convey legal advice or constitute as legal advice nor is it meant as a substitute for legal advice. When seeking legal advice all users are admonished to seek the advice of a competent attorney. You should not act on any information provided in this site without first seeking the advice of an attorney. Create an attorney-client privilege even for clients who, in the past, established a privilege with the Sponsor. Much of the information provided in this Site are the opinions of the author and not necessarily the opinion of McCalmon Group or the Sponsor and are not meant as legal advice. Information about the authors of articles, including attorneys, is for descriptive purposes only. The McCalmon Group, the Sponsor and contributing authors intend no assurance and make no guarantees or predictions on the outcome of legal matters, even if they involve similar facts and circumstances. 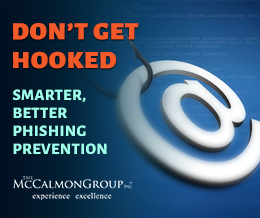 If you choose to contact McCalmon Group, the Sponsor or a contributing author via email, please do not disclose confidential information. Your communications by email to an author, even a licensed attorney, does not mean that he or she represents you and your communications will not be considered confidential or privileged, and may be freely disclosed to others. McCalmon Group and possibly its Sponsors or contributing authors may be or may have licensed attorneys on staff. These attorneys are licensed to practice law in specific jurisdictions. Laws vary in different jurisdictions. You should never assume that an attorney is licensed in your specific jurisdiction. Moreover, unless expressed in writing specific to an attorney, the attorneys listed in this Site or who contribute articles are not certified by, or certified as specialists or experts by any professional or governmental agency or authority. Designations of practice areas, expertise, practice concentrations or specializations of attorneys are not intended to suggest or represent the contrary. Neither McCalmon Group nor the Sponsor offer or guarantee continuous or uninterrupted access to this Site. Please note that operation of the Site may be interfered with for numerous reasons including scheduled maintenance and factors outside of our control or the control of subcontractors to the McCalmon Group. Non-subscribers and subscribers who have successfully registered onto the site are responsible for obtaining and maintaining all telephone, computer hardware and other equipment needed for access to and use of the Site and any and all related charges. Make available material or make statements that do not generally pertain to the designated topic or theme of any forum or other interactive feature of the Site. Use any kind of program/script/command, or send messages of any kind, designed to interfere with a user's terminal session. Send malicious email of any type or fashion. Liability may be incurred if you violate these rules. McCalmon Group will cooperate fully with law enforcement in the prosecution of any illegal activities using this Site. Non-Subscriber / Public Access Portions of the Site subject to these terms: McCalmon Group grants to you a limited, personal, non-exclusive, non-transferable, non-sub-licensable and revocable right and license, to access and use the non-subscriber portions of the Site for internal, non-commercial purposes only. Material and information on this site are not for resale. Subscriber / Restricted Access Portions of the Site are subject to these terms: McCalmon Group grants to you a limited, non-exclusive, non-transferable and revocable right and license, for the term of the subscription purchased or agreed to by your Organization or as provided by contract or understanding by your Sponsor to access and use the subscriber portions of the Site for internal, non-commercial purposes only. Both non-subscribers and subscribers: McCalmon Group reserves the right to make changes to these Terms as they affect the use of the access portions of the Site, at any time, without notice or liability. The information distributed on this Site is provided "as is" without representation or warranty of any kind as to suitability, reliability, applicability, merchantability, fitness, non-infringement, result, outcome or any other matter. Neither the McCalmon Group nor the Sponsor represents or warrants that the material herein is current, complete, or invariably accurate, and any representation or warranty that might otherwise be implied is expressly disclaimed. By using the Site, you agree that neither McCalmon Group nor the Sponsor are liable to you or others, in any way, for any damages of any kind or under any theory, arising from access to or use of or reliance on the information in this Site, including, but not limited to liability or damages under contract, tort theories, malpractice, negligence or any damages caused by viruses contained within electronic files of this site or any linked site. These disclaimers and limitations on liability apply regardless of any prior notice or objection by any person or entity to us relating to the Site. IN NO EVENT WILL McCALMON GROUP OR THE SPONSOR BE LIABLE TO YOU FOR ANY SPECIAL, CONSEQUENTIAL, INCIDENTAL, EXEMPLARY, PUNITIVE, INDIRECT OR SIMILAR DAMAGES, EVEN IF WE HAVE BEEN ADVISED OF OR ARE AWARE OF THE LIKELIHOOD OF SUCH DAMAGES. ADDITIONALLY, IN NO EVENT WILL WE BE LIABLE FOR ANY CLAIM BY YOU BASED ON ANY THIRD PARTY CLAIM. TOTAL, CUMULATIVE LIABILITY TO YOU ARISING OUT OF OR RELATED TO THE SITE OR THESE TERMS IS LIMITED TO $200 PER ORGANIZATION OR $20 PER USER NOT TO EXCEED $200. THIS LIMITATION WILL APPLY, REGARDLESS OF WHETHER A CLAIM OR ACTION SOUNDS IN CONTRACT, TORT, NEGLIGENCE, STRICT LIABILITY, CONTRIBUTION, INDEMNITY OR ANY OTHER LEGAL THEORY. THE LIMITATIONS IN THIS SECTION WILL APPLY NOTWITHSTANDING ANY FAILURE OF ESSENTIAL PURPOSE OF ANY LIMITED REMEDY PROVIDED HEREIN. SOME JURISDICTIONS DO NOT ALLOW A LIMITATION OR EXCLUSION OF LIABILITY FOR INCIDENTAL OR CONSEQUENTIAL DAMAGES, SO THE ABOVE LIMITATIONS OR EXCLUSIONS MAY NOT APPLY IN THOSE JURISDICTIONS. No part of the Site may be copied, reproduced, republished, uploaded, posted, transmitted, downloaded or distributed in any way, except that you may print a reasonable number of copies of any material on the Site on any single computer for internal, non-commercial purposes so long as all copyright, trademark and other proprietary notices on the materials printed are kept as written. Any modification of the materials on the Site for any purpose is a violation of copyright and other proprietary rights with the exception of a limited right to change Model Policies and Procedures and Model Forms. The use or republication of the material, including trademarks and copyrights, on any other web site or computer network without written permission from the copyright holder is strictly prohibited. The Site also allows you to upload the policies and procedures of your Organization. You may upload only those policies and procedures that are applicable to your Organization and no other. Whenever you or your Organization upload to or download from any material on the Site for modification, you acknowledge that the neither the McCalmon Group nor the Sponsor have reviewed, read, inspected or approved your material or the modifications to the Site material and that any changes you make to the material is at your own risk. The McCalmon Group and the Sponsor admonish all users to seek the advice of an attorney before utilizing any material provided on the site. Model policies and procedures are meant as "example only" or for educational purposes and are not meant to be used "as is". The Site may directly or indirectly provide links to or accept links from web sites of other parties for convenience. Neither the McCalmon Group nor the Sponsor control or maintain the material presented by third party web sites. The inclusion of any link on this Site does not imply any association or relationship between McCalmon Group or the Sponsor and the person or organization sponsoring the linked site, nor does it constitute or imply endorsement, approval or sponsorship of the linked site by the McCalmon Group or the Sponsor, or the endorsement, approval or sponsorship of the McCalmon Group or the Sponsor, by the owner or proprietor of the linked site. The links do not imply legal authority to use any protected rights of others reflected in the links. Neither the McCalmon Group nor the Sponsor assumes any responsibility for the content, accuracy or completeness of material presented directly or indirectly in linked sites. If you use any of these links, you will leave the Site and your use of materials from linked sites is at your own risk. The McCalmon Group may use written material from third parties, including attorneys, writing on behalf of another person. The opinions and statements made on the Site through articles or other forms of written expression are the opinions of the writer and not necessarily the opinion of the McCalmon Group or the Sponsor. Neither the McCalmon Group nor the Sponsor guarantee the accuracy, completeness, or usefulness of any written materials nor the merchantability or fitness of any particular product, service or opinion for any particular purpose. Certain portions of this Site may require registration. As part of the registration process, users will select a user identification and password. You may not: (a) select or use a user identification or password of another person; (b) use a user identification or password in which another person has rights; or (c) use a user identification or password that McCalmon Group or the Sponsor, in their discretion, deem offensive. You shall be responsible for maintaining the confidentiality of your user identification and password. You shall notify us of any known or suspected unauthorized use of your user identification or password, or any known or suspected breach of security, including loss, theft, or unauthorized disclosure of your user identification or password. Your account information including your user name and password will not be considered confidential and neither McCalmon Group nor the Sponsor are under any obligation to keep your user identification and password confidential or secure from others. THEREFORE, you are admonished to not to use confidential user identifications or passwords as your user identification and password for this Site. If you do, you do so at your own risk. Transfer or provide or make available the software or computer code to any third party. You may terminate these terms at any time by discontinuing use of the Site.